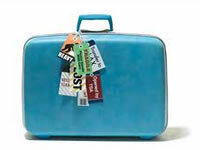 We can ship your luggage and vacation gear from Jonesboro ahead to your destination. No more hauling your bags around the Jonesboro Municipal Airport. We can also give you return labels, so that your luggage can be shipped home when your trip is over. It is easy, convenient, and secure. Pak Mail of Jonesboro takes the “lug” out of luggage!